A stranded , dead Compass Jellyfish - "Chrysaora Hysoscella". 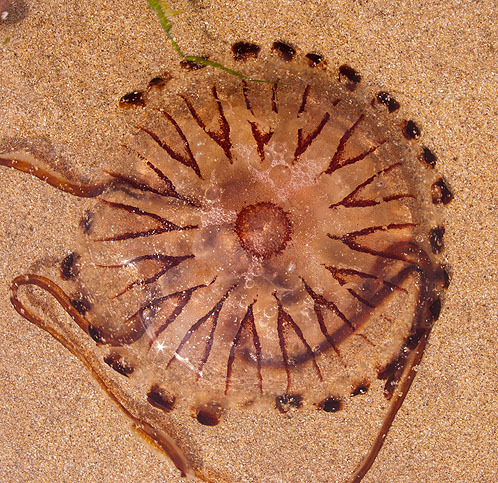 A striking jellyfish , packing a painfull sting . Reddish brown markings on the bell , 4 long trailing mouth arms , often looking frilly , 24 tentacles hanging from the margin of the bell.